Lapland in Northern Finland is easily accessible by air from Helsinki. Some of our escorted tours offer visits to Santa Claus Village during Christmas, northern lights snowmobile safaris, reindeer and husky dog sleigh-rides, visit a wildlife park or do some ice fishing. We also organize cross country ski trip across Finland. Joining one of our escorted tours is a great, carefree way to see the natural wonders of Iceland. Our groups are small, most of the meals are included, and the guides take good care of you as you travel to fjords, glaciers, volcanoes and geysirs. 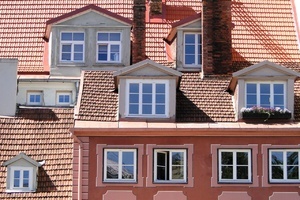 Accommodation in hotels and guesthouses along the way. Travel to Iceland and join one of our Iceland winter tours to avoid crowds and experience the dazzling glory of Northern Lights, the twinkling spectaple also known as Aurora Borealis. Less tourists, lower rates and additionally much more cultural life and arctic chill. 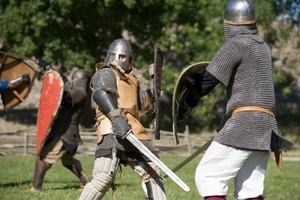 Created to suit a variety of budgets and preferences, each itinerary covers a number of outstanding attractions and places of historic significance. Pick-up your car directly at Keflavik international airport and enjoy travelling through Iceland's spectacular scenery. Why not try a combination of volcanoes, snow, ice and Northern Lights? Iceland, one of the world’s most sparsely populated countries has all of this, as well as wonderful fresh food and great hospitality. Walk across lava fields and visit the hot springs or Geysers spouting steam every 5 to 15 minutes. We offer many different winter experiences in Northern Norway. Whether you are looking for an escorted tour to see the Northern Lights, a husky-dog, or reindeer sleigh-ride, ice fishing or a night in a snow hotel, there is lots to do and see. Imagine snowmobiling over the tundra under a star-lit sky or staying in a cozy fisherman’s cabin in the Lofoten islands. There is something really special about Northern lights cruise in Norway. It is during the polar nights that nature’s lights, moon and stars reveal their magic power. There is nothing more peaceful than sparkling and starlit polar sky and nothing more exciting than when the flickering Northern Lights color it. We have created a collection of private city tours in all Baltic Sea seaports and other cities in Europe. Our special programs are designed for cruise passengers and other independent-minded travellers who enjoy the flexibility, personalized itineraries, full attention to details and licensed local tour guides. 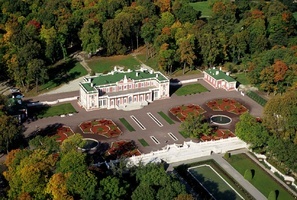 The most comprehensive small group tours to St. Petersburg include all major landmarks, palaces, parks and museums. You will not have to pay for any additional options while on the tour. One price covers it all! All tours are guaranteed departures so you can be confident that your tour will not be cancelled. 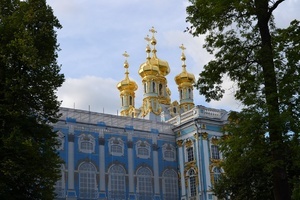 For those of you who like to travel at their own pace and do not want to join a group, we recommend a wide variety of well-planned private itineraries in Russia. 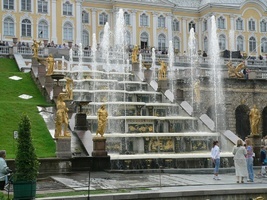 Our private tours of Moscow, St. Petersburg and the Golden Ring include all major sightseeing landmarks and allow plenty of time for optional activities. 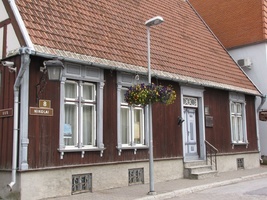 Escorted Baltic Tours is the most convenient way to visit all three Baltic States during your Baltic Holidays. You will explore the old capitals of Lithuania, Latvia and Estonia, beautiful countryside and small charming towns travelling between the Baltic countries. 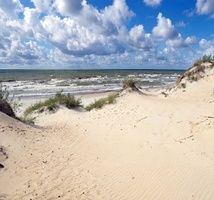 When travelling in Baltic states consider visiting one or several neighboring countries in Eastern Europe. 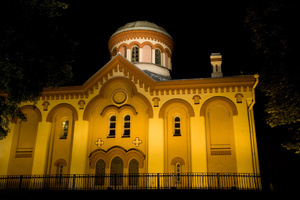 A trip to Poland, Belarus or even Russia can be an exciting addition to your Baltic experience. These escorted tours allow you explore Iceland in detail, some circling the entire island before you fly to the west coast of Greenland for a visit to an Inuit village where you learn about Greenland’s history. Visit a remarkable icy fjord where you can watch the icebergs shatter as they crash into the fjord. 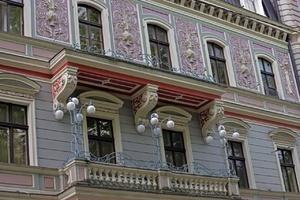 Tour of Baltic capitals and Baltic seashore includes 4* hotels", picturesque countryside drives, English speaking local guides in Vilnius, Riga and Tallinn. Max. group size - 26 people. 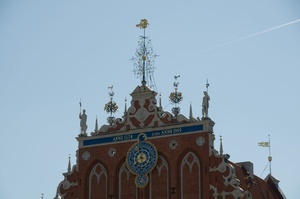 Tour of the three Baltic countries: Lithuania, Latvia and Estonia and a capital of Finland Helsinki. Start with the Lithuanian capital Vilnius, continue through the unique Hill of Crosses, the magnificent Rundale Palace, explore the colorful old town in Riga, the famous Art Nouveau district, continue to Tallinn with its unique medieval spirit, take a ferry to Helsinki where you end your tour. 8 exciting days filled with Baltic highlights, starting in in Vilnius, the vibrant Lithuanian capital. Continue to Riga stopping at the unique Hill of Crosses, and baroque Rundale palace. After exploring the Latvian capital, continue to your final destination, Tallinn, well-known for its dynamic street life, cafes and galleries, and one of the best preserved medieval old towns in Europe! This Baltic capitals tour will fit any budget. You can choose from 3, 4 or 5* hotels. Private tour of Lithuania, Latvia, Estonia and Finland includes sightseeing tours of Old Towns of the four capitals as well as the countryside and cities in between the capitals. Enjoy the luxury of private touring. 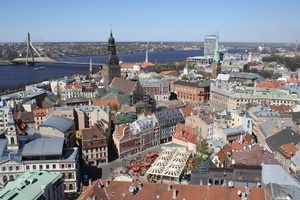 This Private Baltic Tour includes centrally located hotels in each city, sightseeing tours with a private guides in Vilnius, Klaipeda, Tallinn and Riga, transfers in private cars/minivans with English speaking drivers, private transfers to/from airports, private local guides. 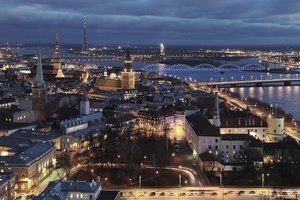 8 exciting days filled with Baltic highlights, starting in Vilnius, the vibrant Lithuanian capital. Continue to Riga stopping at the unique Hill of Crosses, and baroque Rundale palace. After exploring the Latvian capital, continue to your final destination, Tallinn with one of the best preserved medieval old towns in Europe! Enjoy private intercity transfers and your private local guides. TALLINN-VIHULA-TARTU-MARCIENA -DAUGAVPILS-VILNIUS-LIEPAJA-RIGA- New 2019 program. 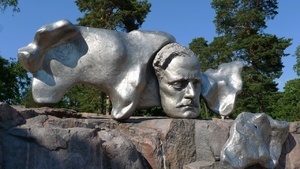 Extensive Baltic itinerary off the beaten track with a private guide in 1st class private car, exploring Baltic capitals and charming Baltic towns in Estonia, Latvia and Lithuania. The luxury of private touring! Explore the region around the Gulf of Finland and its main capitals: Tallinn, Helsinki and St. Petersburg. We start in Tallinn, a vibrant Estonian capital with one of the best preserved medieval old towns, visit the famous Lahemaa National park. Then continue by ferry to Helsinki, the capital of Finland, and finally the highlight of your tour - imperial St. Petersburg with its world famous palaces and museums. Explore the capitals of Latvia, Estonia and its surroundings, travel by ferry from Tallinn to Helsinki, then by bus from Helsinki to St. Petersburg, the most beautiful Russian imperial capital with world famous museums and architectural landmarks. Travel through the Baltic countries of Lithuania, Latvia and Estonia, explore medieval capitals and Baltic countryside, then continue by ferry to Finland's capital Helsinki and by bus to St. Petersburg - a remarkable city often called the Venice of the North.